Posted on September 17, 2018 September 17, 2018 by Tish Farrell	This entry was posted in allotments, memoir, photography and tagged #InthePink, borlotti beans, gardening, Kariba Dam, pesticide-free growing, Tish Farrell Writer, Zambia. Bookmark the permalink. I envy you your green fingers – your vegetables always look so GOOD! Gorgeous images! I’ve never eaten borlotti. What does it taste like? Quite a meaty bean – more in the butter bean than kidney bean department. 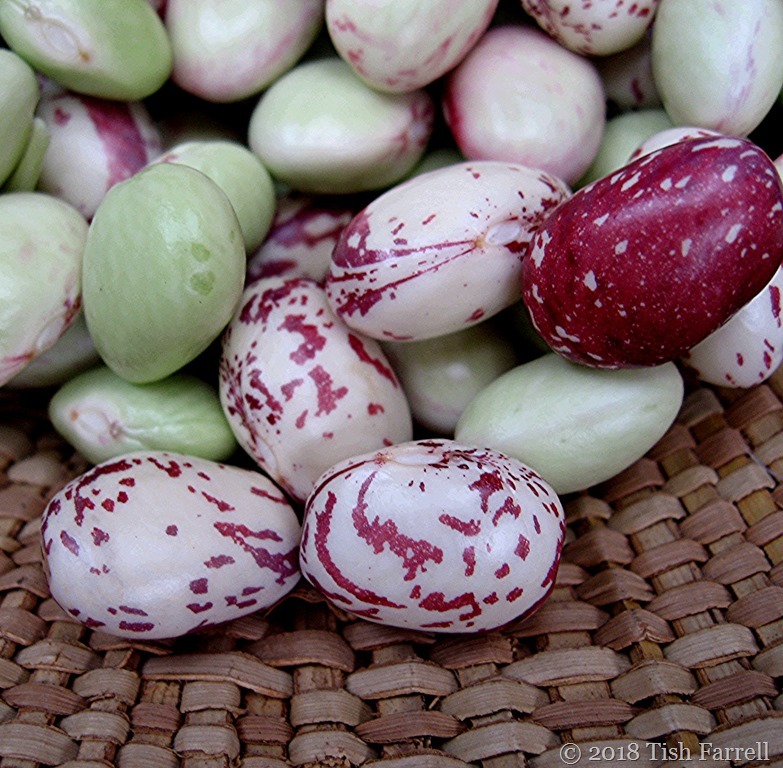 The borlotti beans look beautiful. Do they taste when cooked like the beans from northern climes? In the valley of the Arrow Lakes where I live people have also been forced to abandon their homes in the 1960’s for the building of a dam. They don’t have a strong flavour. Butter beans are the nearest I can think of. A bit more taste than haricot beans. As to making way for dams, that seems to have happened all over. I always find it a disturbing thought, having one’s village and familiar landscape forever submerged. Love the basket..and there is something special about the end of the harvest. They look marvellous, Tish! You have SUCH green fingers! These beans look so nice Tish, a wonderful sight to behold in early autumn. I might like to try growing them next summer as they appeal so much to me too. They seem pretty straight forward. There are dwarf varieties as well. Am putting them in my garden plan for next year. Thanks for the share Tish. So happy you want to grow these, Agnes. Lovely snippets of your life 🙂 🙂 I don’t have any borlotti but I do love bean soup. Do you have a favourite recipe? I do a sort of pistou thing, but make a thickish soup of the borlotti (onions, garlic, herbs, stock), sometimes with added chopped veg later, and serve with pistou-pesto on top. Sounds lovely 🙂 🙂 I’ll bring the red! With your obvious ongoing connectivity with the mother-earth nobody can say you are a has-bean. They’re pretty easy once germinated. Take heart. Rosemary does that. I’ve had that happen so many times. You have to keep doing heel cuttings which root quite easily, except I forget to do it until the plant has died. Thanks Tish. That’s good to know. I’ve never had it happen before. I did take a bunch of cuttings a while ago which all seem to have flourished. Last week I was wondering what to do with them all!! Those are certainly the most interesting beans I’ve ever seen. If you plant them, do they grow huge stalks that go up to the skies? 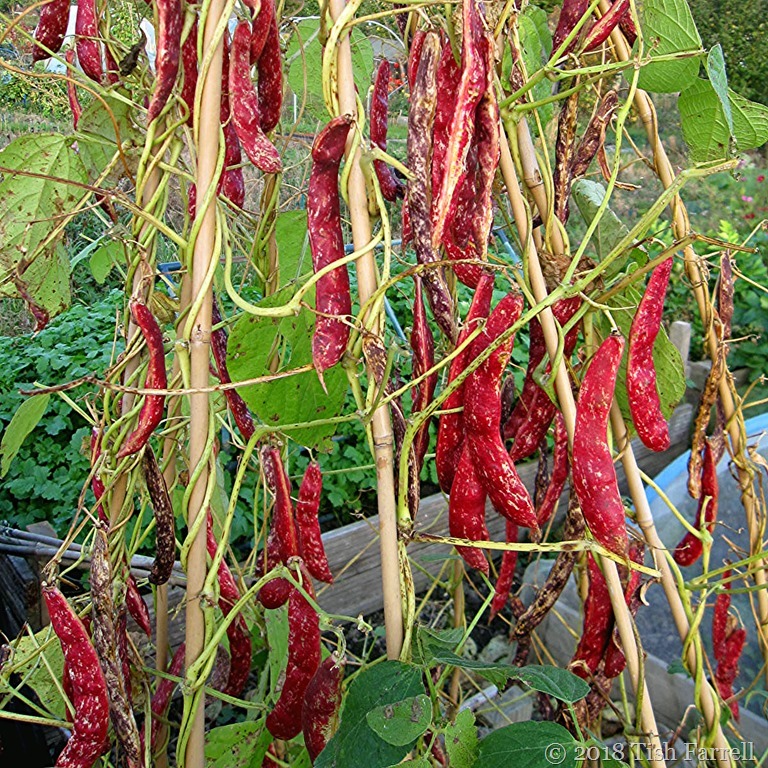 I love these vividly fuchsia beans! So sad though that the colour fades when they are cooked!